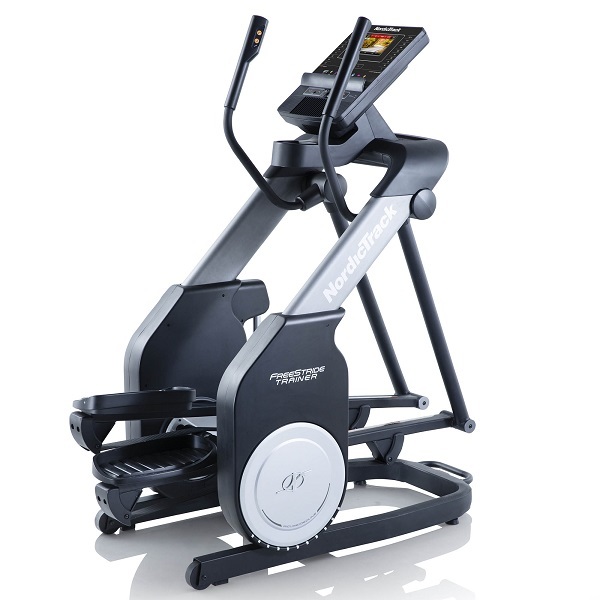 So once your new machine has been professionally built and installed by trained specialist, you can truly appreciate the XC-230i in the flesh! Meantime, take a look at the picture – it’s rather unique isn’t it? 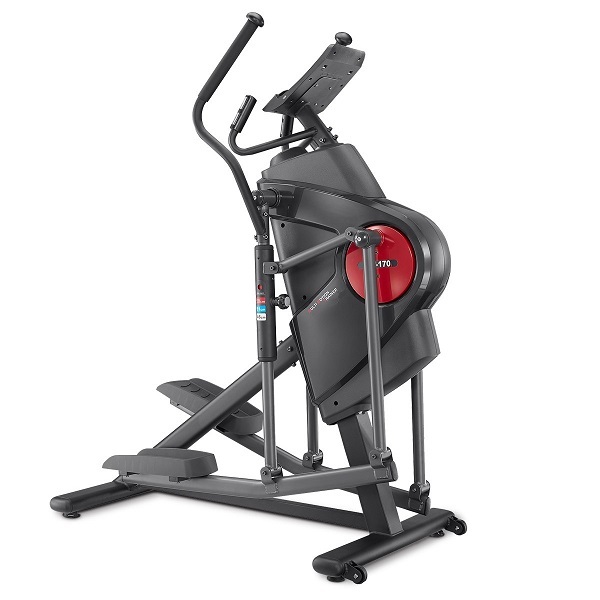 Certainly a lot more squat than the usual style of Cross trainers. 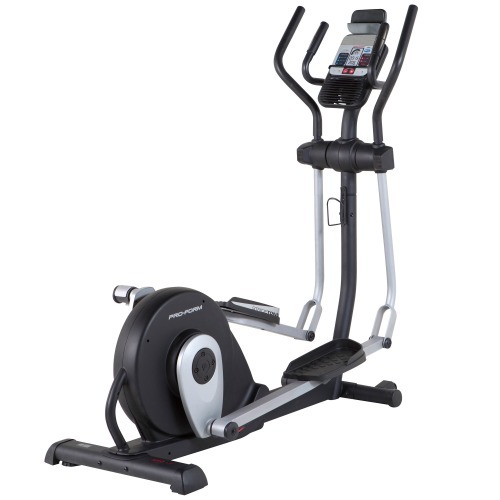 Well here lies one of it’s unique selling points – it’s got a compact length of under 60″ making it about the same size or less as the average rear driven elliptical! At a glance, you’d be forgiven in thinking it is some sort of stepper or perhaps a hybrid! But the engineering that has gone into angling and pivoting the crank arms, makes this 100% elliptical, the motion of which is bio-mechanical genius! Now before we get to the ‘feel’ of that action, we mustn’t overlook the build quality – after all, how could you ‘overlook’ this beast! Beauty OR beast, we’ll let you be the judge of the machine visually, but one thing is unanimous – the build quality of the XC-230i is magnificent. The engineering as well as the quality of components used in it’s entire construction are high quality bordering on over-kill! 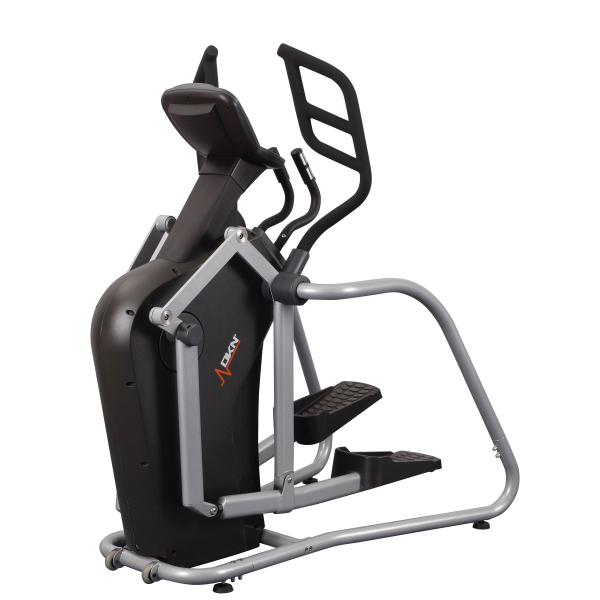 Being a substantial investment, it gives great peace of mind to think that this is a machine that will last the test of time. The warranty is 2 years, but in theory, this machine is so solid and well-constructed that it feels like it could survive an air raid, let alone the 22 stone weight limit! As we’ve established, the XC-230i is of a short, squat design with a footprint of just under 5′ x 3′. The extra width combined with the frame being supported at 5 points on levelling rubber feet, make the machine remarkably stable in use. It is in use, that all this clever engineering and impressive construction pays HUGE dividends. 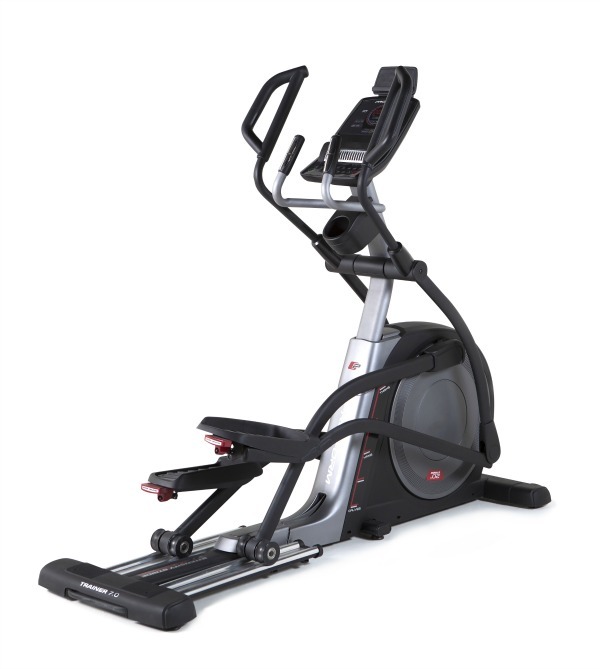 The elliptical motion is one of the nicest, smoothest and sturdiest, we have EVER tested. (Yes, we stand by that bold statement!) As well as the fluid inertia delivered by the momentum of a 14 Kg flywheel, the pedals revolve with less than 1″ of space between them (known as the Q-factor) which places your hips and joints in a very natural, comfortable range of motion. Oh and while we are talking comfort, another smaller detail we liked are the covering of raised rubber grip pads that are inlaid into the pedals to keep your feet secure as well as cushioned. In addition to the superb lower body workout offered, there are some fantastically angled dynamic arms to target the upper body muscles too. Trying to describe these handles will be nigh on impossible (so please take a look at the picture!) but basically you have the options of a variety of different grip positions so you can be sure of complete muscle coverage in the chest, back, arms and shoulders depending on how you angle your hands and push/pull. Combine that with alternating a forwards and backwards stride pattern and you’ve truly got a TOTAL body workout! There are static handles positioned between the larger moving arms. The fixed handles are parallel to each other and only 3″ apart so it does perhaps feel slightly too close for comfort, however this does ensure that your elbows are well clear of the path of the swinging dynamic handles. 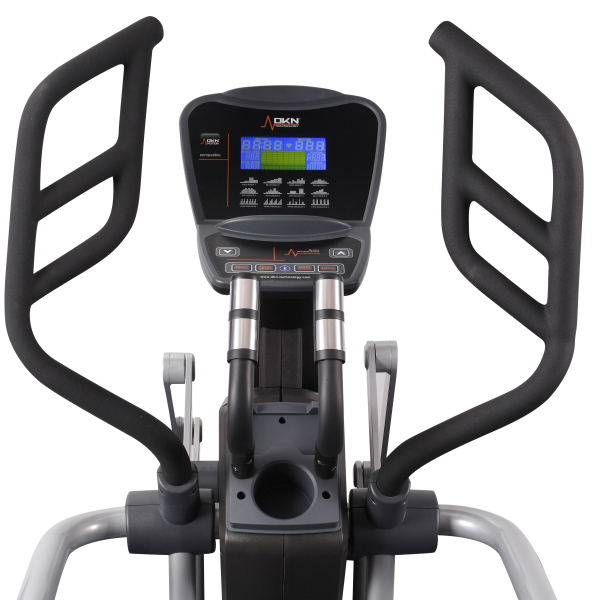 As is typical of most machines, the fixed handles have the usual pulse grip sensors mounted in them. Being as this is a far less accurate and flexible way of pulse monitoring compared to wireless transmitters, we’d highly recommend investing in a compatible chest strap which can link with the machines inbuilt receiver allowing you to go hands-free! The console is easy to navigate around and clear to understand. The layout of up and down arrows and only 4 other buttons (Reset…Total Reset…Start/Stop & Enter) make it very intuitive to use. The menu printed on the dashboard showing the course profiles of the 12 pre-sets available also help make setting up quick and easy. The 12 pre-set programs are divided into 3 sections. You have the choice of 4 Beginner programs (a nice variety to suit all levels), 4 Advanced sessions (which are similar but slightly tougher to the Beginner ones) or there are 4 Performance sessions which are based around intervals. As well as being able to pre-set the load level, users can also set the duration of the program from 1 minute right up to 99! 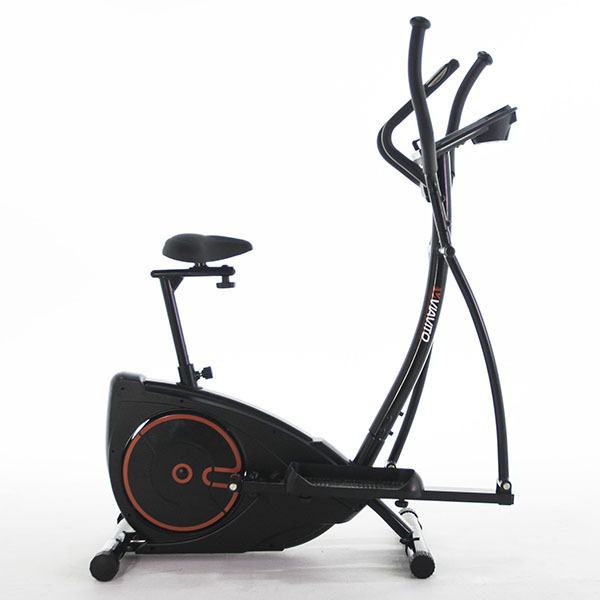 The machine is compatible with the DKN Motion and the DKN iWorld applications to give you countless possibilities of interactive workouts. We’ve covered the DKN Motion app in other reviews as it’s been around for a little while now, so no doubt you’re familiar with the scope for extra programs and features that it brings – but if you still haven’t heard about it, we urge you to look online at some of the videos and overviews that describe this entertaining and effective fitness app! Which brings us to DKN iWorld. This is their latest (and perhaps greatest!) technological advancement to date and we love it! Basically, it’s an app powered by Google earth, which allows you to pick any destination on the globe (so long as there is a satellite near it!) and plot a course. This means you can utilize Google’s street views and do some sightseeing while you workout! Your favourite destinations as well as your workout stats can all be saved for future reference. You can even share your results on Facebook to add an element of interactive fun too! Even if you don’t possess a tablet device, the XC-230i should keep the most discerning home user happy for many years with its superb build quality, great ergonomics and selection of program options. For those that seek a little more entertainment to keep the mind engaged, we are sure the DKN Motion and iWorld apps will keep you captivated and consistent with your workouts! So what do we think of the XC-230i overall? Whenever a manufacturer takes the courageous step away from the herd and creates something unique, it can obviously go one of two ways – it can get a “nice try but why?” reception or it may just make everyone sit up, pay attention and question “why has nobody thought of this before?”…Well, the XC-230i has certainly broke the mould AND it’s certainly got our attention…and our prediction is that it will change the way some manufacturers design ellipticals from here on in. The question is, how could they better this? While we keep a look out in the industry for any other manufacturer with an answer, we suggest that meantime you enjoy the XC-230i – we are confident you certainly will! The DKN XC-230i is not currently available from any retailers we're aware of in the UK. 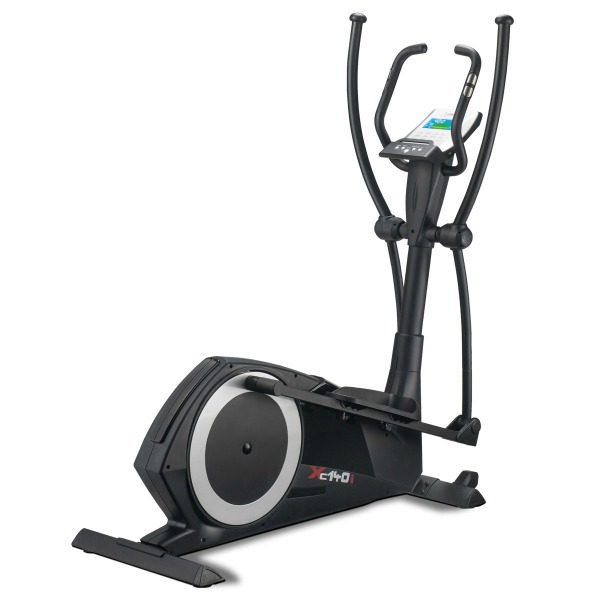 The XC-230i elliptical from DKN is a very innovative machine that's easy to fall in love with! 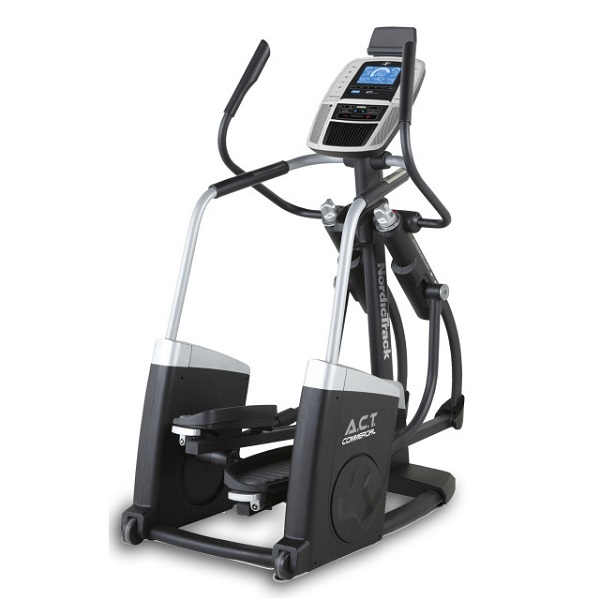 The stride motion and feel on the machine is among the best we've tested and it's certainly a cut above the majority of home ellipticals. If that wasn't enough, the space needed is actually rather small, taking into account it's 21" long stride length. 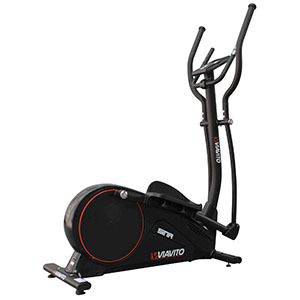 We've absolutely no hesitation in recommending this machine! 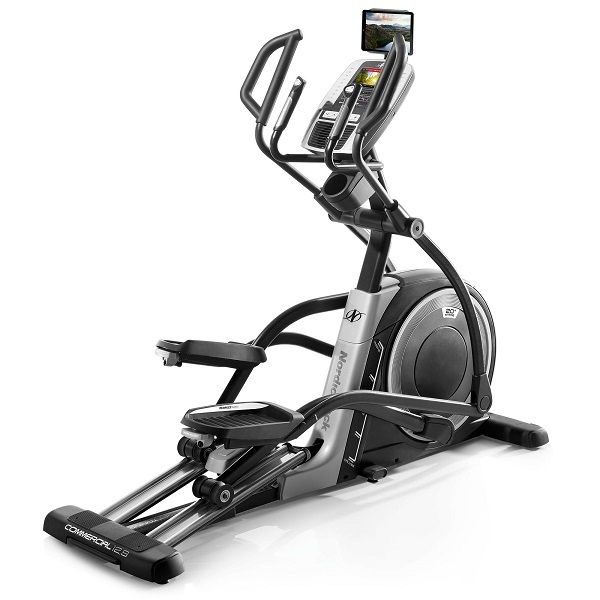 One of the nicest elliptical motions we have ever experienced! Delivered and Installed Free by Trained Engineers! Hmmm?….being greedy….Chest belt isn’t included!